Since I've passed my test I've always had what I would class as old cars. Cars that were well over 10 years old (and older!) and ones that definitely didn't have any mod cons. To put it simply, we are still rocking a tape deck in our current car! 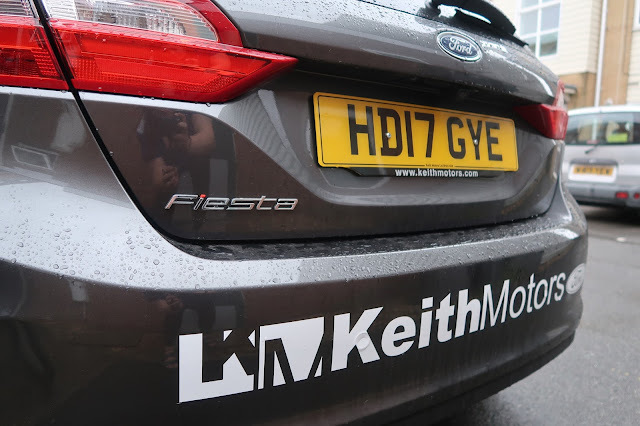 So when the lovely guys over at Keith Motors in Dorset asked me if I wanted to take the brand new Ford Fiesta away for a weekend, I honestly couldn't say yes fast enough. I'm going to be honest, I'm not a car person. I can tell you a brand. I can tell you a model. But talk to me about revs and engine capacity and it honestly passes right by me. So here is my review. An honest one from a mum that wants to keep her kid safe, not get lost and keep the "are we nearly there yet?" calls at bay! 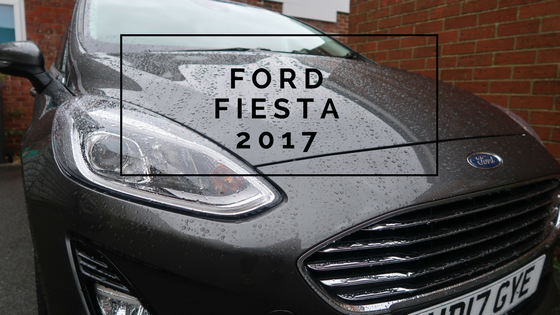 We were provided with one of the 2017 Ford Fiesta models. Ours was a five door and came in a cool slate grey colour. First impressions were good, and whilst it looked like a spaceship on the interior compared to my existing car, it didn't look too intimidating for me to get behind the wheel. I've tended to opt for compact style city cars in the past, and whilst they are fab for parking, school runs and general runnings about town, we are fast outgrowing them. No longer does Max have leg room, we seem to pile up bags and bits and pieces on the passenger seats and the boot spaces aren't big enough for a scooter, let alone anything else. The Ford Fiesta really surprised me. Whilst it looked fairly small on the outside, on the inside felt like a Tardis! 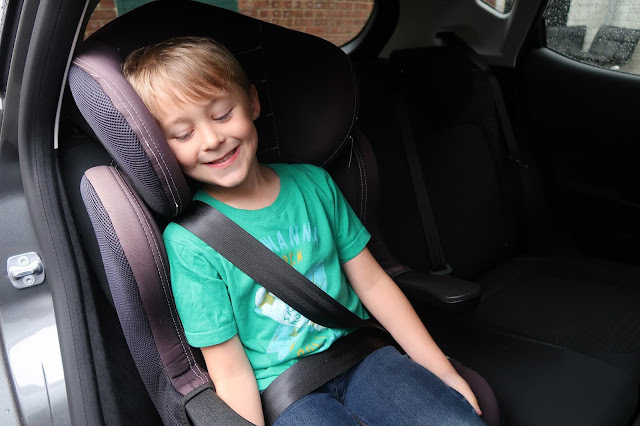 There was more than ample leg space for Max and all the other passengers to stretch out on long and short journeys and handy storage spaces to keep all the stray toys and school bags safe. The boot space impressed me the most with more than enough space for two suitcases, rain coats and enough space to have fit much more if we wanted to. As I mentioned, we aren't used to new cars. So when I sat in the drivers seat and was told that you don't even need a key to get the car started, I didn't really know how to react! Using a keyless system, you can drive the car around with the push of a button. Whilst it felt surreal to begin with, soon enough it felt like second nature and I actually found it really handy as I'm often leaving my keys locked in the car! 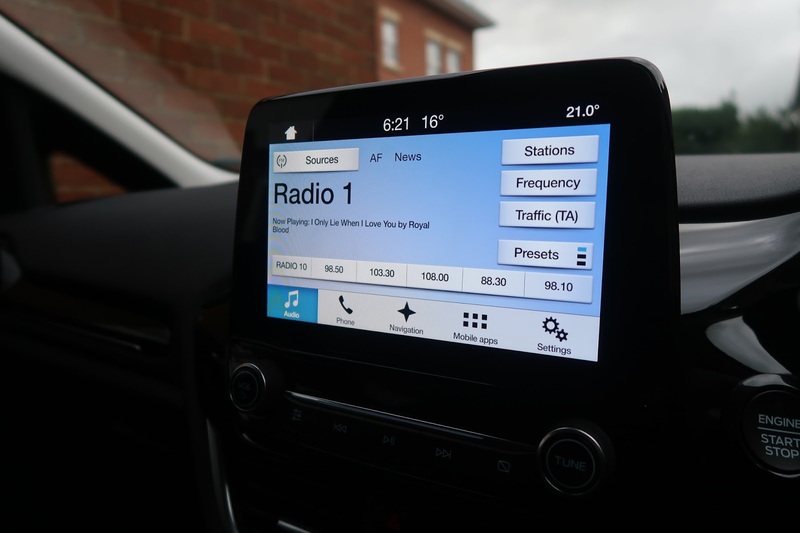 The all new Ford Fiesta comes with a touchscreen display giving you access to everything from your radio to navigation and mobile apps. Whilst I didn't pair up my phone, I loved that I would have been able to pair it up to contact Scott or the school mums if there was an emergency. 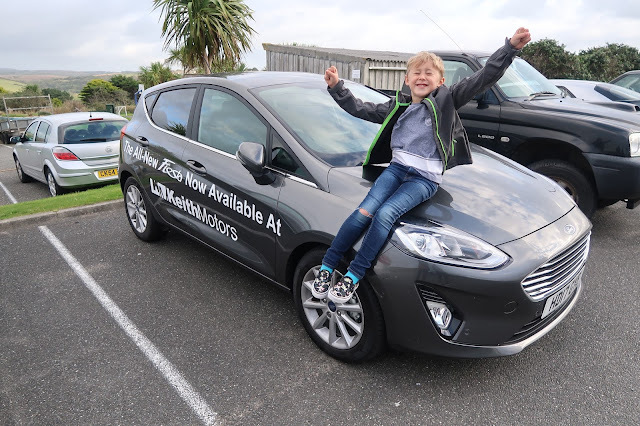 As we took the Ford Fiesta away to Newquay for the weekend, having the built in SatNav was invaluable as it meant that I didn't have to rely on my phone to help us get about and we got there in record time. One of my favourite parts of the car was the dashboard. The first thing to note is that it's completely digital and works with the controls built into the steering wheel. The digital display gives you all the important information that you need such as speed and fuel. It also tells you what seat belts are in use (meaning the little escape artists you may have can't unstrap themselves) and also what speed the road you are driving on is. Whilst this might not be new, for me it was perfect as I find in places I've not driven in before I like to double check I'm going the right speed. To say the drive to Newquay was a breeze was an understatement. I've never had a more comfortable drive, especially a long distance one. From having old cars that rattle about in the wind, to a car that actually feels easy to control no matter the weather or drive. As someone that isn't a car person, I can definitely say I was won over and maybe a bit in love with the Ford Fiesta! It was fantastic to drive a car that I felt so confident driving even after such a short amount of time. We had an absolutely amazing weekend test driving the Ford Fiesta. It's a car that we fell in love with and couldn't believe how a car could be so functional for our family. From spacious boot space to ample leg room, we are definitely converted (and may be looking at a Fiesta for our next car!). A huge thanks to all at Keith Motors for letting us take this car for the weekend, I can't thank them enough for all the help they gave us as they showed us around the car and helped us set off for our weekend away.